Preparations for National Science Week have officially kicked off in Victoria! 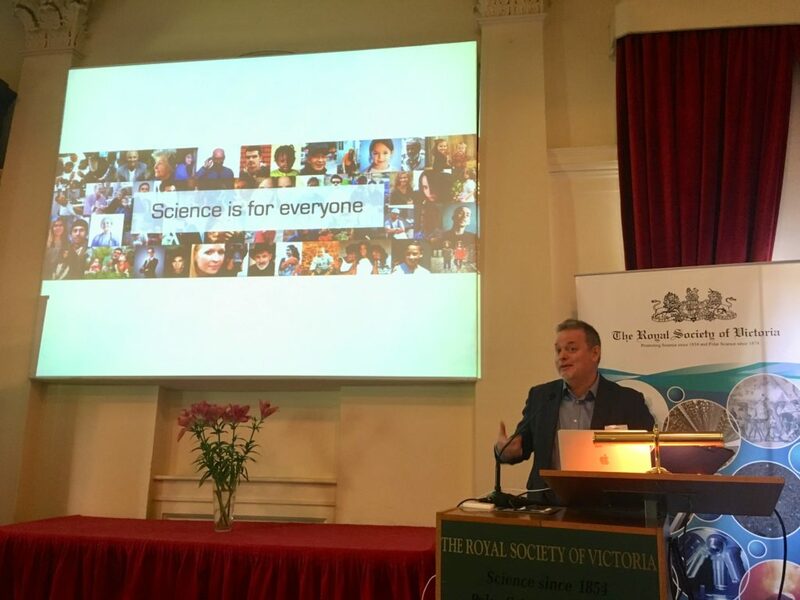 Everyone interested in being a part of the state-wide celebrations were invited to the Royal Society of Victoria (RSV) for an information and networking session. RSV CEO, Mike Flattley opened the session with an acknowledgement of the traditional owners of the land, the first scientists, and the first artists of Australia. Science Week is about breaking down barriers between scientists and the community. As ‘art isn’t just for artists’, and ‘music isn’t just for musicians’, similarly, ‘science is for everyone’. Victorian Lead Scientist, Dr Amanda Caples, said a warm wominjeka to all – a Woiwurrung word which she emphasised not only means “welcome” but also “we come with a purpose”. She has always been bewildered at how art and science are seen as ‘opposing forces’, when they can come together to inspire. Multiple STEM organisations, libraries, schools, and communities work together during science week to inspire young people, and all audiences to get behind science. 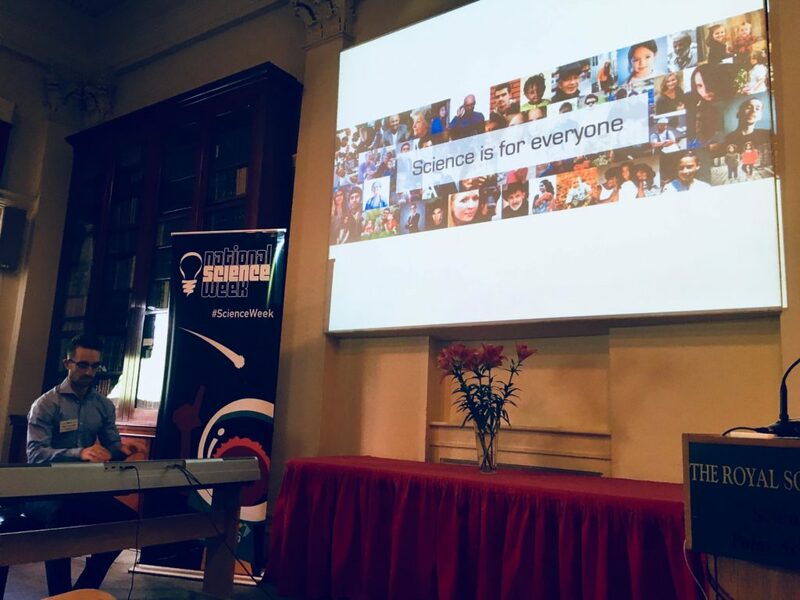 Science Week is about encouraging everyone to ‘have a go at science, and empowering young people and the community to achieve’ – Dr Amanda Caples. A beautiful blend of science and art was demonstrated by Sam Colcheedas, who composed a piano piece in dedication of the Mars rover Opportunity. Opportunity’s remarkable 15 years of roaming the planet were represented by both a dissonant, haunting melody, and a hopeful, flowing tune, and Sam captured its last moments, when it sent the message ‘my battery is low, and it’s getting dark’. Sam Colcheedas’ beautiful composition to honour Opportunity in its final hour. 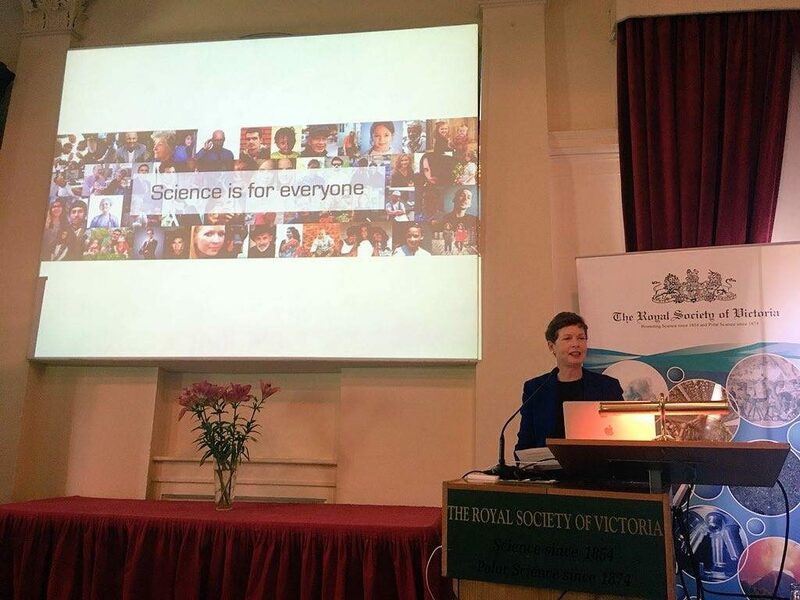 Last year, there were 435 registered events for Science Week in Victoria, 109 more than the year before. Every year it gets bigger and bigger! 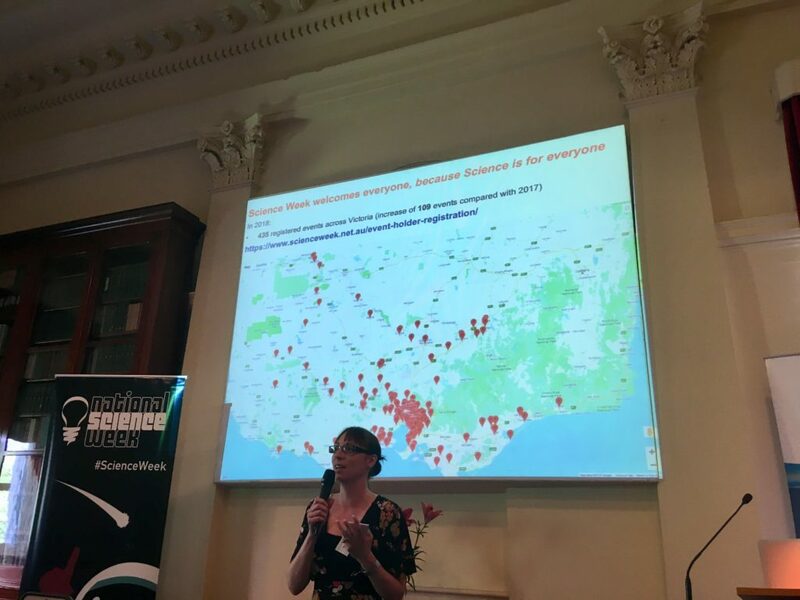 This is in part due to the efforts of Dr Renee Beale, Science Week Victoria Lead, and this year she is aiming for over 500 events. Dr Renee Beale is working towards covering the state with one, red dot. In 2019, Victoria will be hosting Dr Darlene Lim as an international guest from NASA. Dr Lim has explored extreme environments and habitats on earth to gain insights as to how we can prepare human explorers for the environments of other planets. In a week, she will have seen much of Victoria as she travels around to speak to different audiences. Exciting events to look forward to this year are the Science at the Extremes launch event (Friday, 9th August), featuring Dr Lim and other guests who study extreme environments and an Extrasensory event at Parliament House (Saturday, 10th August) to explore different senses and even senses you may not have imagined before. Paul Boys, Director of the Gippsland Tech School, spoke about series of events they will host across Victoria’s southeast with hands-on activities and space exploration. Dermot Henry and Jen Brook listed events held by Museums Victoria, home to 17 million specimens and a great record of our natural world. Melbourne Museum and ScienceWorks will play host to many programs that invite everyone to take part in exploring our Universe. Tilly Boleyn, Science Gallery Melbourne is curating the exhibition Disposable, which will include a Trash Robot to clean up the Yarra River, soaps made from oils and fats taken from sewerage, and worms that can break down your polystyrene waste. There are multiple ways for you to be involved in Science Week; whether it’s helping with the running of events, attending events, or spreading the word. 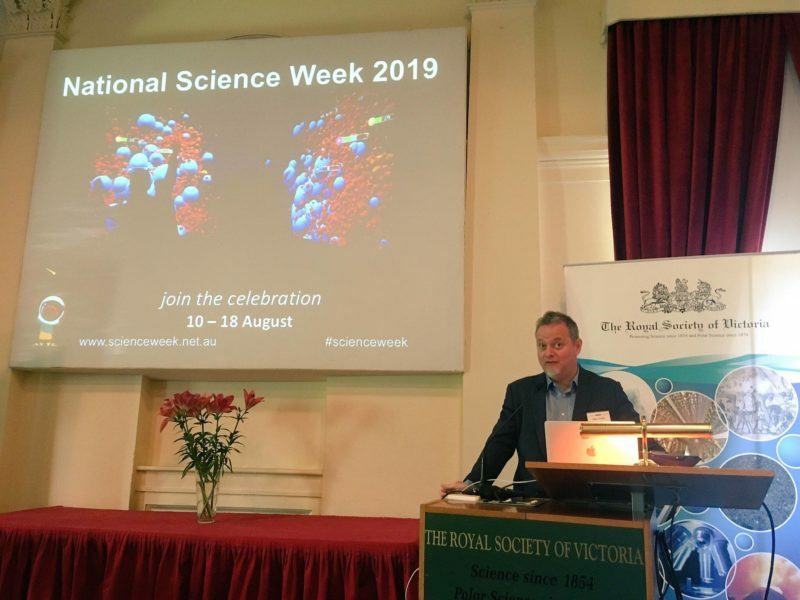 The Victorian National Science Week Coordinating Committee invite you to apply for seed funding to run a public event, activity or program during National Science Week. There are funds to support community events and library initiatives, and the Australian Science Teachers Association is also providing grants to schools and Destination Moon resources to celebrate the 50th anniversary since the Moon Landing. National Science Week is a time to get excited about science, try something new and learn about topics you’ve never thought about.